Saturday night, middleweight Yoel Romero looked like a beast in his most recent win against Brad Tavares. He looked like the less-insane version of Rousimar Palhares as he seemed to be far bigger and stronger than his opponent. But everyone looks up to someone, right? 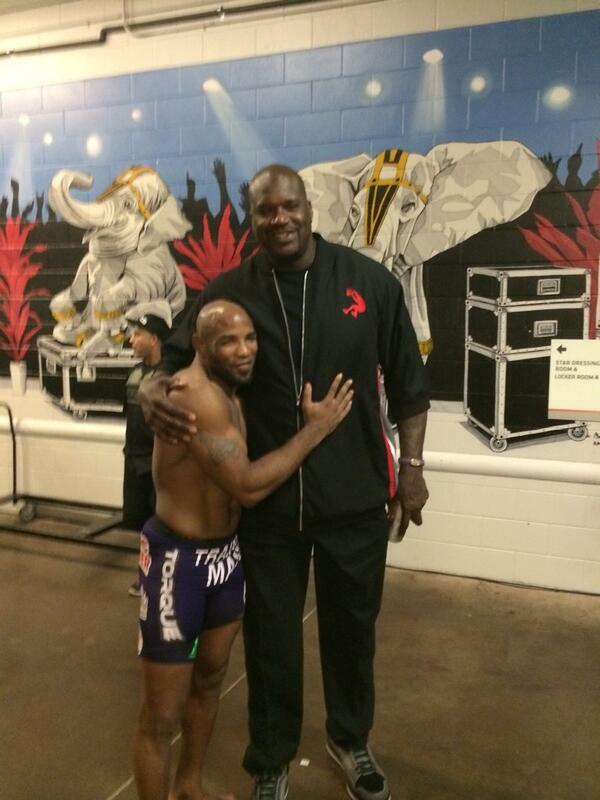 Check out Romero–who’s a ripped 6’0″ and probably around 200 pounds at this point–with super heavyweight Shaquille O’Neal. He looks like a baby.